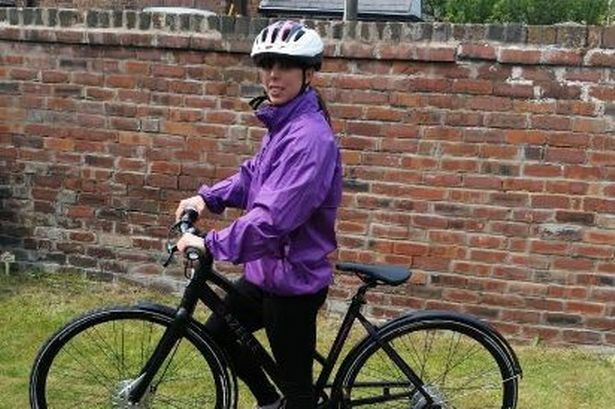 Liverpool’s Olympic star Beth Tweddle has revealed she is facing her biggest challenge yet. The former gymnast, who won bronze in 2012 and was crowned Dancing on Ice champion, has embarked on a bucket list of adrenaline-fuelled activities to raise cash for charity. “I think my mum’s more terrified now than when I was competing at the Olympics", she admits. “Two weeks after the Olympics I was on top of a plane doing the wing-walking and I think she nearly had a heart acttack." Beth's list includes an array of extreme challenges such as wing-walking, skiing, sky diving, abseiling and mountain climbing. Beth is an ambassador for the Mountain Warehouse Charity Challenge, which is giving people who are already taking on a challenge to sign up for the chance to win an extra 10k for their charity. The 30-year-old says: “Obviously when I was competing I got that adrenaline buzz. I work with children on a daily basis now, and I love doing that, but there’s still that part of me that misses that adrenaline buzz. The triple world champion gymnast will be joining cyclists for this year’s Liverpool-Chester-Liverpool cycle this Sunday, July 5. And she says she's got a list of other things she'd like to do, including a reverse bungee, and is still "open to ideas". Beth adds: “The Charity Challenge is a brilliant platform to showcase people undertaking incredible outdoor activities whilst raising funds for amazing causes.